An ancient technique used by the Egyptians and Romans and whose medicinal properties were researched in France, first by Raymond Gatefosse, a chemist, in 1920 and thirty years later by Dr Jean Valnet. While in France essential oils may be prescribed in the form of capsules as an alternative to conventional medicine, in Great Britain the oils are never administered orally, aromatherapy combines healing massage with oil that have the medicinal properties of plants. Essential oils, extracted from the roots, flowers, fruits, leaves and stalks of plants and certain trees, are absorbed in the body by inhalation and through the skin. The scents released in aromatherapy stimulate the hypothalamus, the area of the brain influencing the body's hormone system. It is thought that mood, metabolism and stress levels can be affected by smell. 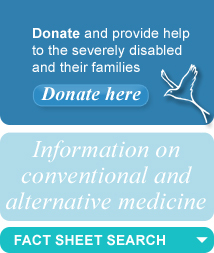 Clinical research into essential oils in the treatment of medical conditions is limited. It is not understood how the oil molecules actually enter the bloodstream, but the psychological effects have been well studied. Aromatherapy is used in nursing in hospitals and hospices. Though many doctors do not believe it is specifically more beneficial than therapeutic massage alone, they do recognise that deep relaxation and feelings of calm can be associated with a certain smell and that these feelings contribute to the healing process. Essential oils should not be used neat on the skin or applied near the eyes. Peppermint and camomile block the therapeutic effects of homeopathy, they should be taken at least half an hour before taking homeopathy. A well-qualified practitioner is used to dealing with pregnant women, children and individuals with various conditions and will know which oils are suitable for each client. Lavender is the most versatile oil, the safest and one of the cheapest, a bottle of 10 ml should cost on average £6. The price of oils are fixed according to the quantity and weight of plants or fruits needed, their rarity and quality, for instance lavender is abundantly grown in France and England whereas rose costs more to grow and tons of petals are necessary to obtain a small quantity of oil. If you find a cheap bottle of rose oil it is more likely to be artificial or diluted. - Worwood Valerie Ann. The complete book of essential oils and aromatherapy ISBN: 0931432820.